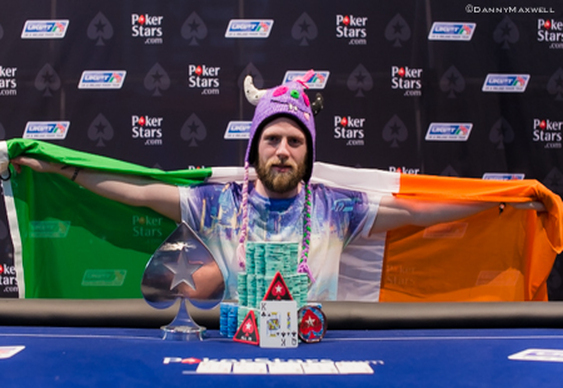 Despite Max Silver looking as though he was going to take UKIPT gold in Dublin last night, it was local qualifier Kevin Killeen who managed to overcome the odds and claim the €87,700 top prize. Although Killeen was one of the largest stacks at the start of the finale, it was Silver who garnered the attention of the rail as the action developed. Indeed, having already tasted success in Dublin on multiple occasions, the young Brit made light work of those around him. However, as the field thinned and he found himself heads-up with Killeen things started to fall apart. As his chip lead gradually evaporated, Silver continued to fight, but after four all-ins and no success, it looked as though the title was heading Killeen's way. Somewhat blessed with the luck of the Irish and using it to his full advantage, Killeen eventually clinched the title dying moments when his Kc Qc maintained its pre-flop advantage over Silver’s Qs 8s. With the remainder of his opponent's chips now in his possession an ecstatic Killeen celebrated with his friends whilst a dejected but respectful Silver headed for the rail to collect his €53,700 consolation prize. The UKIPT heads to Dusk Till Dawn in Nottingham for its next stop. Qualifiers for the £1m guaranteed Main Event are up and running at PokerStars. Image courtesy of Danny Maxwell.